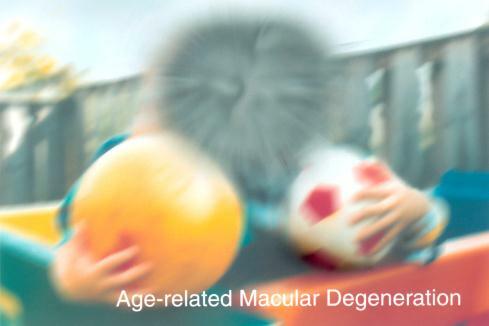 Age-related macular degeneration, or AMD, is a physical disturbance that affects the center of the retina, called the macula. The macula is the part of the eye responsible for our most acute vision, which we use when reading, driving, and performing other activities that require fine, sharp, or straight-ahead vision. Wet AMD is treated with injected medications and/or laser surgery by sealing off the leaking blood vessels. These are usually brief and painless outpatient procedures that slow and sometimes even reverse, the progression of the degeneration. A small, permanently dark spot is left where the laser makes contact, however.